Children are often fascinated with birds, and those that are usually don't waste much time requesting to have one as a pet. For those parents wondering what type of bird would make the best pet for their child, I give you the Top 3 Bird Species that are good with kids. Hopefully this information will help you make the best decision about which species will work best with your little one. 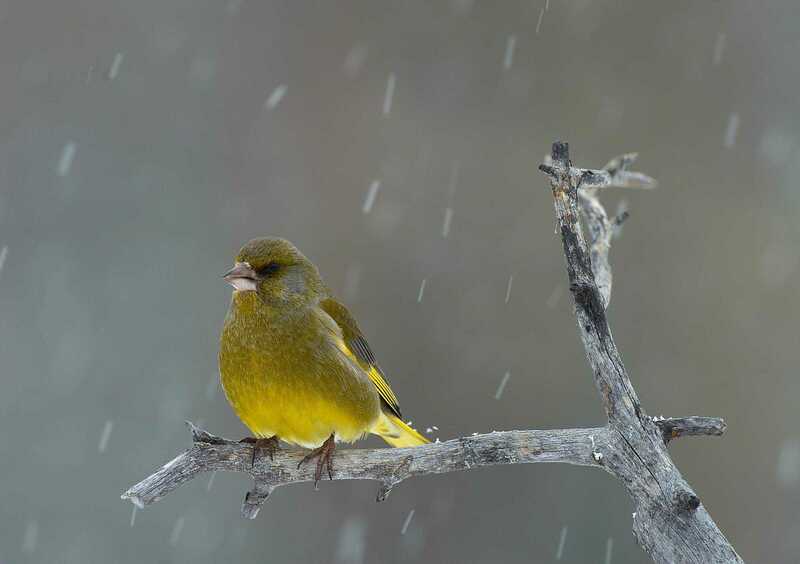 Finches and Canaries are number one on the list because they require minimal interaction and are easy to care for. These birds make good pets for very young children because they are beautiful, fascinating to watch and provide soothing "music" with their soft chirps and chatter. Finches don't usually care much for interacting with humans, so if you decide on a finch, get two or more so that they will have some company. Finches should not be taken out of their cage and handled, so if your child craves a bird that they can really interact with, you may want to consider either the budgie or the cockatiel as a better option for your child. They are very delicate birds and require gentleness and caution so it is best to train your child to be very careful when handling these birds. While these are not hands-on species, they are charming birds to keep in your home. Much like fish, these birds are for watching although some people have been able to train both finches and canaries to allow handling. While they are not particularly available that often at adoption agencies, you never know if they are available unless you inquire. Contact the adoption agency nearest you to find out if they have any that are in need of a home. Budgies or Parakeets are a close second on the list of great birds for kids. The proper term for these birds is "Budgerigar." They are colorful little birds can be a lot of fun for young aviculturists because they tolerate being handled quite well, they are small and relatively easy to care for, and yes, can learn to talk. They have gentle personalities and can bond quite strongly with their owners, making them wonderful companions for young bird lovers. Choose a Budgie if your child wants a bird that can truly be his or her best friend. Most handfed Budgies are very sweet natured and will gladly oblige. However, caution is advised as these too are delicate birds. Just like the larger species they require a balanced diet of leafy greens, vegetables, some seed, and a formulated pelleted diet. But remember: An all seed diet is very unhealthy for them. Learning about applied behavior analysis and positive reinforcement training will teach you how to train your bird. Cockatiels are the largest of the Top 3 Best Birds for children. They do well with older children who have the time to devote to interacting with their pet. Cockatiels can learn to talk, whistle, and do cute tricks, making them a delight for kids to work with. They relish their time out of the cage and require a bit more work to keep than Finches or Budgies do, so select a Cockatiel for those who really have a desire to keep birds and learn about them. Doing so will ensure that both your child and their bird has a happy experience. These lovely birds require a good basic diet to keep them healthy and bear in mind that an all seed diet is very dangerous. 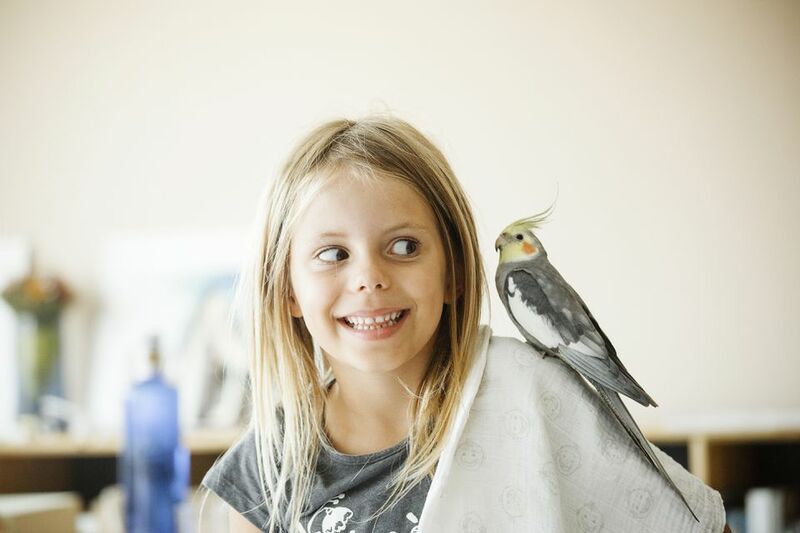 Some of the chores involved that your child will have to do are feeding a balanced diet, cleaning the bird's cage and replacing the substrate papers, cleaning the water bowl and changing the water daily as well as interacting with the cockatiel. These tasks teach responsibility and your child will learn from caring for a bird like a cockatiel. There are many cockatiels available for adoption as people are sometimes put in a position in life where they can no longer care for their bird. Contact your favorite adoption and education foundation for information about adopting one of these lovely birds that is in need of a home.